It’s a funny thing when someone I’ve meant to feature shows up in the nomination form submissions; it feels a bit like a long-distance, digital high-five. 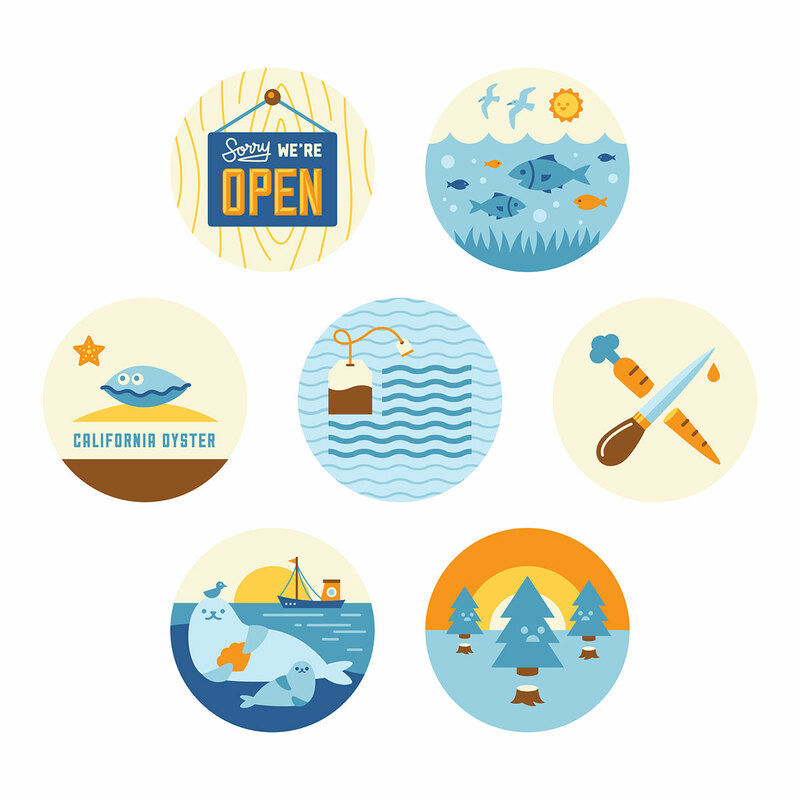 This was the case with Helen Tseng, a talented designer-illustrator working in San Francisco. 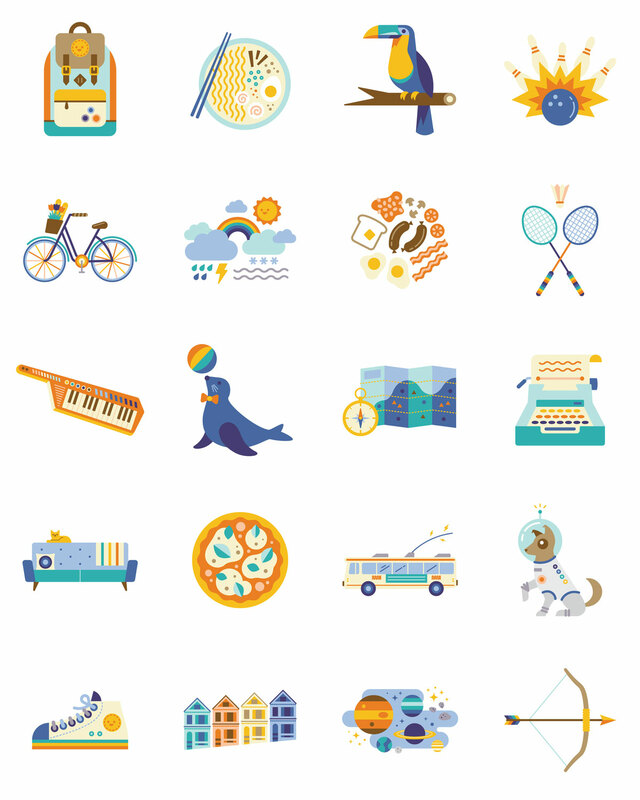 There’s a cheerful earnestness to Helen’s work that I thoroughly enjoy: bright colors, simplified shapes and strokes, and just the right amount of cuteness add up to visuals that are easy to enjoy. This effortless sense of fun is likely what attracts clients to her work, from tech companies (Airbnb, Facebook, Google) to publications (Lucky Peach, Bustle, Adweek, and The Bold Italic). No matter the brief, Helen’s color sensibilities are strong throughout. 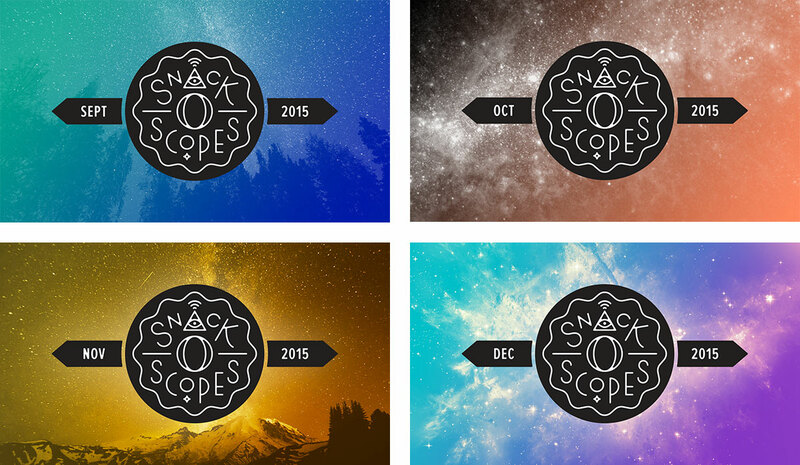 Icons for Snack-o-Scopes, horoscopes with a snack and music suggestion twist. 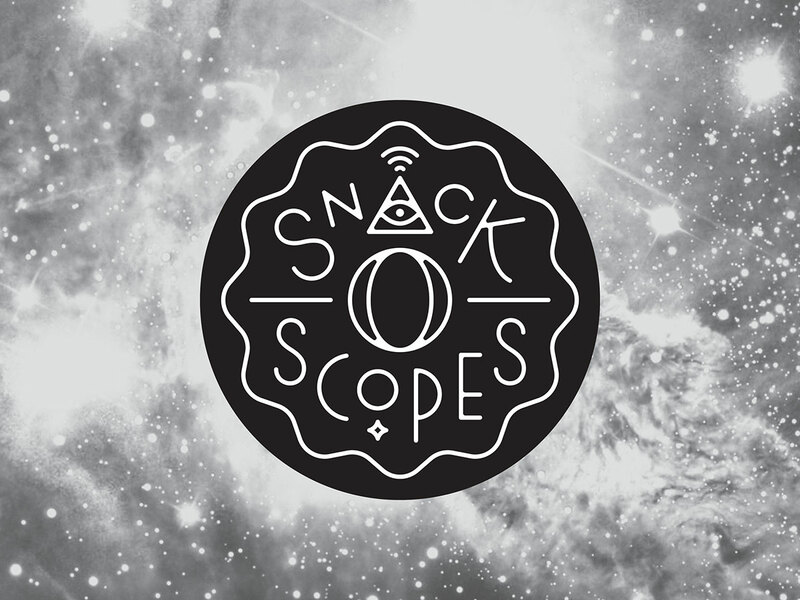 Helen reads these Snack-o-Scopes on the Astral Projection Radio Hour with co-host Melissa Graeber. Helen’s logo mark is a very celestial-looking donut; the photographic treatments of the logo (above) are quite beautiful. 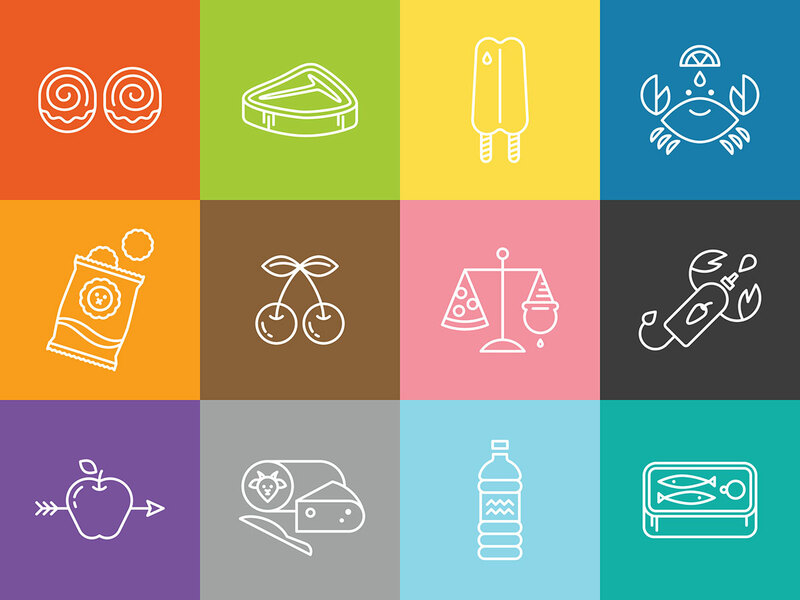 Icons illustrating core concepts in Airbnb’s brand. 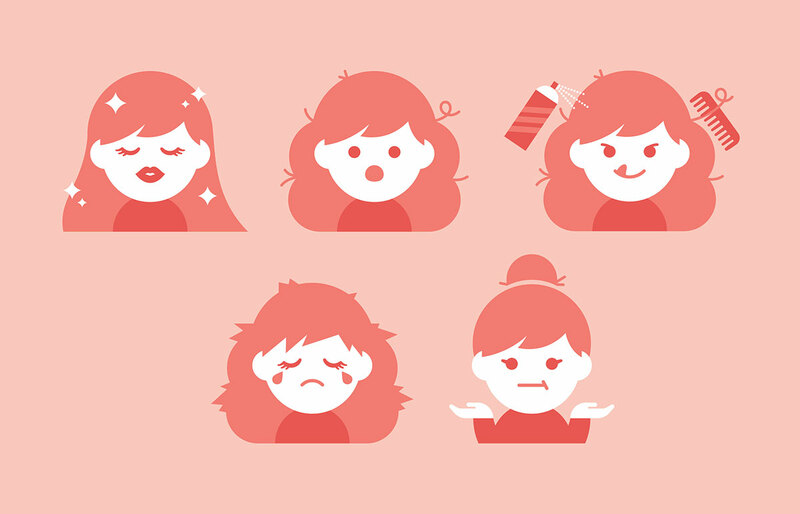 Illustrations about good and bad hair days for Bustle and L’Oréal. 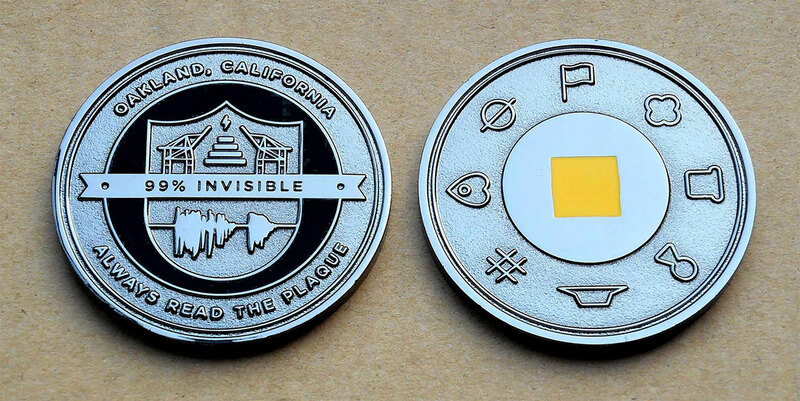 A challenge coin designed for the podcast 99% Invisible, a tie-in with an episode featuring that military object of honor. The front has “shipping cranes to reference the podcast’s headquarters in Oakland, a staircase for architecture, and a lightning bolt for radio”. The back of the coin features symbols from other episodes of the podcast, which offers a deep dive on the design of the everyday. 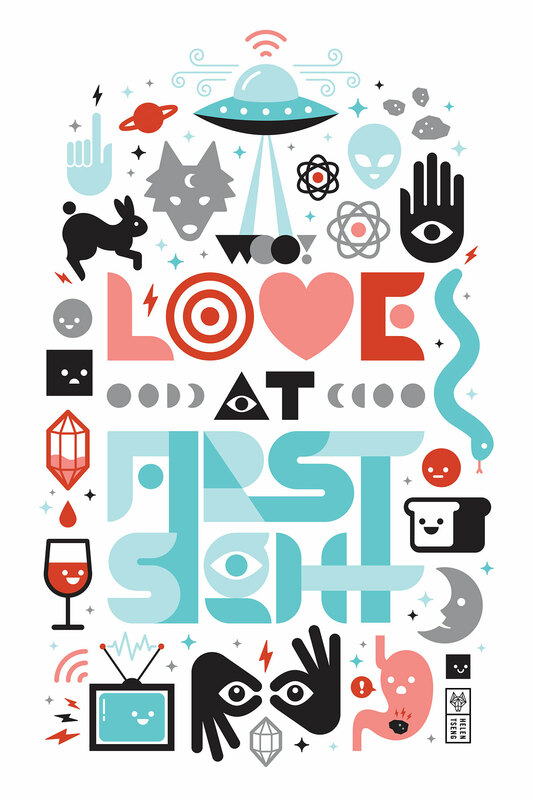 A print for Love For Sale, a group exhibition of Talking Heads-influenced Valentines curated by Will Bryant, Kate Bingaman-Burt, and Frank Chimero. 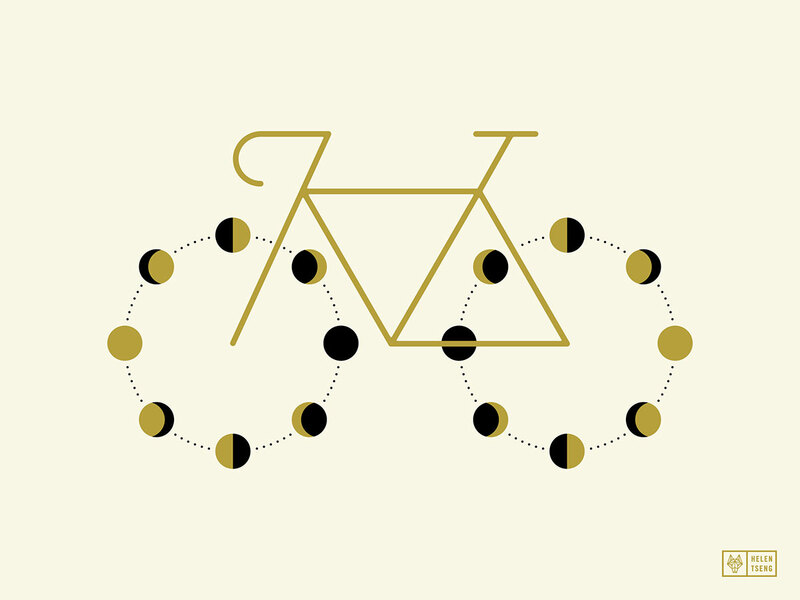 Helen’s print was inspired by “Moon Rocks”, by Talking Heads. Spot illustrations for a Lucky Peach article detailing the drama around the late Drakes Bay Oyster Company. See more work on Helen’s site, including this chortle-worthy re-imagination of Game of Thrones names as metal bands.